Paris Saint-Germain face a huge task to reach the Champions League quarter-finals after Cristiano Ronaldo defied predictions his powers are waning with two goals as Real Madrid won 3-1 in the first leg of their last-16 tie. Billed as a contest between World Player of the Year Ronaldo and his Brazilian heir-in-waiting Neymar, the 33-year-old Portuguese came out emphatically on top as he became the first player to score 100 Champions League goals for the same club. 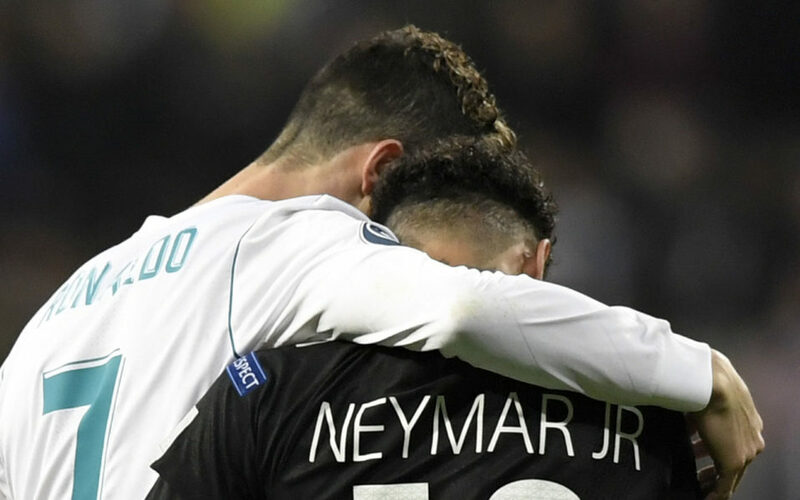 On a pulsating evening in the Bernabeu, Ronaldo dragged Real level with a penalty after Adrien Rabiot had given PSG the lead, fed by a cheeky Neymar backheel. As PSG seemed to be heading for a draw that would have put the French side in the driving seat for the return leg on March 6, Ronaldo turned the match in Madrid’s favour with a scrappy goal that bounced in off his knee. As Madrid poured forward, Marcelo piled on the pain with an 86th-minute volley to show PSG — who have never won the Champions League — the value of the experience of winning the competition 12 times. “Real Madrid love the Champions League and as players we can feel that on the pitch,” Ronaldo said after being named man of the match. Neymar, who cut a dejected figure at the end, said his side “committed errors at certain moments”. 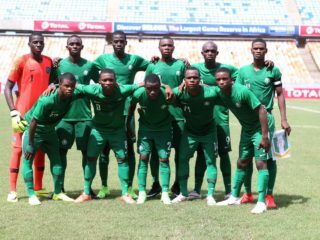 “We were not mature enough at the end of the match,” the 26-year-old Brazilian said. The return leg at the Parc des Princes will be the hottest ticket in Europe. 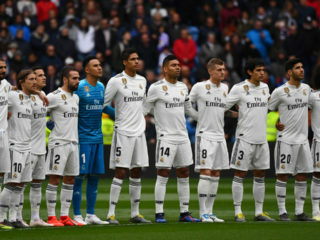 With Real trailing bitter rivals Barcelona by 17 points in the Spanish league, coach Zinedine Zidane’s job seemed in danger before this tie. He paid tribute to his talisman, who despite showing signs of fallibility in La Liga this season has scored 11 goals in Europe in just seven matches. “With Ronaldo it’s difficult to always say the same thing. He has shown once again that he always turns up in the big games,” Zidane said. The Frenchman said he would savour the victory, but warned his side to guard against complacency against PSG. PSG coach Unai Emery, who has never been further than the Champions League round of 16 in five previous attempts, gambled with a young lineup, starting with 21-year-old Argentinian midfielder Giovani Lo Celso and 22-year-old defender Presnel Kimpembe. But it was the Spaniard’s decision to withdraw the club’s all-time top scorer Edinson Cavani with half an hour to go that potentially cost him dear. With PSG’s attacking edge lost, Real clawed their way back into the game. The Paris side’s Qatari backers stuck with Emery last season despite a humiliating 6-1 defeat to Barcelona in the last 16, but they are unlikely to show the same patience if the second most expensive squad in history fails to overcome Real.